The Empower Hearing Amplifier (formerly known as the LifeEar hearing amplifier) is an all-digital non-prescription hearing aid designed to help up to up to 96 percent of hearing issues. Unlike many other hearing amplifiers that increase the loudness of every noise around, the Empower hearing amplifier selectively amplifies sound and speech, ensuring that unwanted background noise doesn’t come in the way of clear hearing. 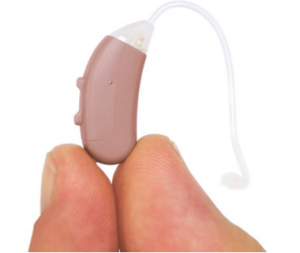 The Empower hearing amplifier is a behind-the-ear, two-piece hearing amplification device. 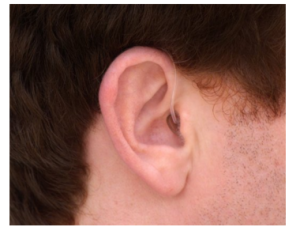 The overall small unit comprises a receiver that fits into the ear and a tube that “hides” right behind the ear. 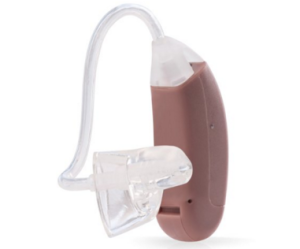 According to its manufacturer, the Empower hearing amplifier is programmed and designed by audiologists and works on the same technology as prescription hearing aids. So, the device promises to be a much cheaper — yet effective — alternative to audiologist-prescribed hearing aids that cost four-figures in dollars. The Empower hearing amplifier features an energy-efficient 12-band digital processor that helps the user understand conversations better and more easily. More importantly, the feature filters out unwanted background noise, which can be really obtrusive in loud social settings. Audiologist-prescribed hearing aids are programmed to suit the user’s hearing needs based on the degree of hearing loss as assessed with a hearing test. This explains why many of them come with fixed volume programs that cannot be altered by the user. 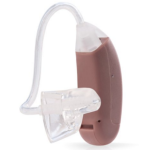 However, since the Empower hearing amplifier is a non-prescription hearing aid, it allows the user to adjust the volume and frequency to suit their hearing needs. This is the function of the volume/intensity adjustment button lying at the side of the behind-the-ear tube. To make things easier, the device comes with preset volume and intensity programs that the user can choose from. Despite being a behind-the-ear device, the Empower hearing amplifier is so small that it can only be seen when viewed closely. Many users who find it embarrassing to wear hearing amplification devices that are too obvious will find the Empower amplifier an ideal choice. However, with this advantage of the Empower hearing amplifier comes an obvious downside — it can get misplaced easily. So, it must be carefully kept at all times. Each unit of the Empower hearing amplifer ships with the following: an instruction manual, a package of size 10 batteries, a power Empower tip, and a cleaning brush with cleaning wire. As of the time of this writing, the Empower hearing amplifier has 260 customer reviews on Amazon.com. 61 percent of buyers gave a 5-star rating of the product, while 25 percent gave a 4-star rating. That’s 86 percent customer satisfaction! Overall, the product had a rating of 4.4 out of 5 stars. As with any other product, the device has got a number of bad reviews — few, though. Some customers complained that the device picked up every sound and noise around and didn’t reduce unwanted background noise. Some complained that the device built up pressure within the ears. Some complained that the batteries didn’t last as long as they expected. And some complained that it just didn’t work for them. The Empower hearing amplifier is a non-prescription hearing aid that has worked for many people with varying degrees of hearing loss. Though we have chosen it as our top pick on this site, it’s not a perfect device (see the cons listed above). But the staggering number of satisfactory buyer reviews and the solid brand trust are enough to push it to the top of the pack — in our opinion. While there are some complaints about the product, the overwhelming number of satisfied customers as against the few disgruntled ones drives home the fact that the problems cited are not general. So, if you’re looking to buy a personal hearing amplifier, we strongly recommend that you buy the Empower hearing amplifier.